If you turn on the tap in your home, there’s a very high probably that the tap water is hard water – which tastes fresh, but can lead to some plumbing troubles, cause soap scum and a few other issues. Your home is not unique though. About 85% of the population in the United States get hard water delivered straight to their homes. Tap water picks up extra minerals and other particles as it travels through the ground and to your home. In this article we will talk about using soft water instead, and what the properties of soft water are. Some of the substances water picks up as it travels include natural minerals like metal, as well as other man made particles like pesticides. All public water systems get treated to cure them of their impurities, thus making them safe for human consumption. But even at that, minerals like magnesium and calcium are usually still present – and they’re responsible for the degree of hardness of the water coming through your tap. 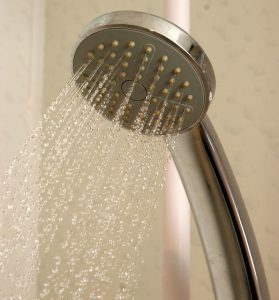 Soft water is different than hard water for a couple of reasons. Soft water has between 0 and 17.1 parts per million of the hardness minerals. This is a relatively low figure. The absence of these hardness minerals also means that soft water contain a lot of sodium. Hard water literally feels hard. Soap is less effective when used with it, because it contains high amounts of minerals like calcium and magnesium. Soft water however, is on the other end of the spectrum. It feels somewhat slimy or slippery. And because it contains a lot of sodium, soft water can taste a bit salty. You could work up excess suds, even if you used just a bit of detergent, and could have difficulty rinsing off soap, if you use soft water. One of the strongest points of soft water is that it doesn’t contain excess minerals. If you have soft water flowing through your tap, you’re less likely to have plumbing issues in the long term, because soft water doesn’t contain the minerals responsible for clogging up pipes. So you can be sure that your plumbing will work much more efficiently. If you have a water filtering system in place, you won’t need to maintain the filter as often as you would with hard water because it won’t be overworking itself trying to filter out excess minerals. One cost saving aspect of soft water is that, because it makes lather very quickly, you’ll need less detergent to do laundry – so with time, you’ll save a lot of money buying less detergent. Keep in mind that soft water contains a lot of sodium – due to the absence of natural minerals. Because of this, people with certain medical conditions – like heart, respiratory, blood pressure diseases are advised not to drink it. What are the Properties of Soft Water? If you do decide to install a water softener in your home, install it in only the non drinking water taps. Due to the properties of soft water, the minerals in your water will be at a lower level, but keep in mind that the sodium might be at a higher count.